Posted July 25, 2017 |14 Comments |Tedd Koren, D.C.
What cancer is more frightening than brain cancer? What do you do to address it? Sen. John McCain of Arizona was diagnosed with a mass of abnormal cells growing in his brain – a brain tumor. His type of tumor, a glioblastoma, is considered the most dangerous because it is aggressive. About 12,400 Americans each year are diagnosed with it. Because it is such a deadly tumor, survival after diagnosis and medical treatment is often measured in months rather than years. Standard treatment following surgery includes a combination of chemotherapy and radiation. The five-year survival rate for people over age 55 is about 4%. Even if one responds well to initial care, the cancer can come back, often within 12 to 24 months. later, while Biden, 44 when diagnosed, died about 30 months later. Sen. McCain is 80 years old as of this writing. 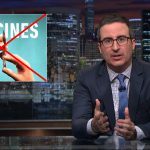 “The best medical care on earth,” as the American medical profession likes to refer to itself, fails miserably when it comes to many chronic illnesses and most cancers. I think it is a foregone conclusion that Sen. McCain will be going the route that Kennedy, Biden and thousands of others with glioblastomas have followed: orthodox medicine, in spite of its poor success rate. Are there other options? The reason why the medical profession has such a poor success rate for most cancers is that the causes are not addressed. When the causes are better understood the chances of a complete healing are greater. One thing is certain – cancers and tumors are not caused by a deficiency of chemotherapy, radiation and surgery. Fortunately, many successful cancer researchers and healers have found and addressed the causes. This article cannot discuss them all in detail but I’d like to look at what they have in common. Josef M. Issels, MD (1907-1998) was a German physician specializing in alternative cancer treatments. His world renown clinic documented cures of patients declared incurable by conventional doctors after surgery, radiation and chemotherapy failed. The accepted definition of incurability is no longer valid. It has been outmoded by the fact that there is a third way available—whole-body therapy. There can be no justification for abandoning those millions of patients who have been given up as incurable. Issels J. Cancer: A Second Opinion. NY: Avery Publishing Group. 1999:159. Issels was emphatic that the tumor is not the problem. The tumor is a symptom of a whole-body problem. This approach is shared by many other alternative cancer treatments. What Does This Have to Do with Sen. McCain? For over a century, researchers from all over the world reported that cancer is caused by toxicity. Davis D. The Secret History of the War on Cancer. NY: Basic Books, 2007. Anand P, Kunnumakara AB, Sundaram C, Harikumar KB, Tharakan ST et al. Cancer is a preventable disease that requires major lifestyle changes. Pharmaceutical Research. 2008;25(9):2097-2116. Tumor cells proliferate to store the toxins while opportunistic micro-organisms and parasites join in to dispose of the waste products. The cancer tumor is a big waste disposal party. Falck F, Ricci A Jr, Wolff MS et al. Pesticides and polychlorinated biphenyl residues in human breast lipids and their relation to breast cancer. (PMID:1567239) Archives of Environmental Health. 1992;47(2):143-146. When the body is working properly tumors will come and go throughout one’s life. However, if a toxic body is continuously overloaded and unable to detoxify then irritation, stress and inflammation become chronic, the body weakens and the party grows out of control. Cancer is thus a disease of too much and too little: too much bad (toxicity) on one hand and too little good (detoxification) on the other. Exogenous toxins include prescription, recreational and other drugs, vaccines, radiation, pesticides, herbicides, fungicides, mold and other dangerous substances we breathe, eat, drink, touch and inject. Endogenous toxins come from inside our body and are often missed by clinicians. These include toxins coming from oral infections, i.e. diseased or dead (root canalled) teeth, cavitations or other dental issues, tonsil infections and an unhealthy gut (imbalanced intestinal flora). The cause leads to the cure – where there is too much (toxicity) – we need to remove the toxins and eliminate them from the body (detoxification). Where there is too little – a lack of ability to detox – we need to nourish, strengthen, de-stress and rebalance our body so it may function closer to its ideal to restore itself to health. I would advise McCain and his caregivers to immediately do the following. There are few things in life that are one cause-one cure. Disease is almost always multifactorial, due to a number of contributing causes. 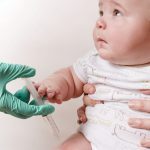 Serious stress/damage/toxicity that originates from outside the body (exogenous) include heavy metals and chemicals such as mercury, lead, aluminum and arsenic from that are in many vaccines. Since Sen. McCain was in the military I assume he was extensively vaccinated. Sen. McCain, along with Ted Kennedy, was often on his cell phone. Cell phones are being increasingly criticized as causes of brain cancer. In addition to everything else, anyone with brain cancer must stop irradiating their brain. Using the speaker function or good radiation blocking ear plugs are necessary for everyone. Lafrance A. Do cellphones cause brain cancer or not? Senator John McCain’s glioblastoma diagnosis revives a longstanding debate over the safety of wireless technology. The Atlantic. July 20, 2017. 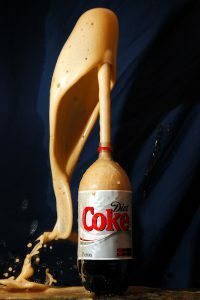 Like so many Americans, Sen. McCain may have consumed diet sodas and other products containing the artificial sweetener aspartame (sold commercially as NutraSweet® or Equal®). While undergoing safety tests, researchers had numerous questions about aspartame’s link to brain tumors. Yet in spite of research questioning its safety, the Food and Drug Administration (FDA) approved aspartame for public use, in foods, drinks and other products. Within a year of aspartame’s approval there was a dramatic increase in glioblastomas in the US. Olney JW, Farber NB, Spitznagel E, Robins LN. Increasing brain tumor rates: is there a link to aspartame? 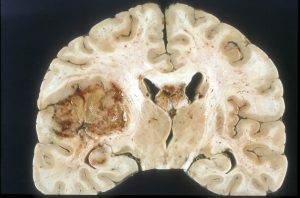 J Neuropathol Exp Neurol. 1996 Nov;55(11):1115- 23. 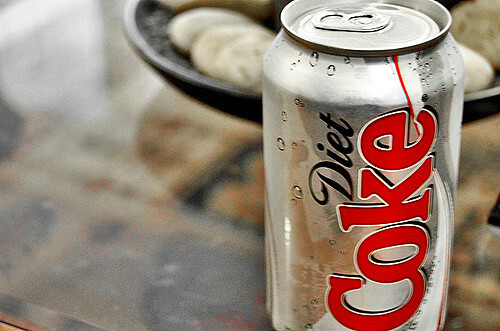 More recent research continues to link aspartame to brain tumors. A metabolite of aspartame, diketopiperazine, has been considered the chemical that contributes to the formation of glioblastomas, medulloblastomas and meningiomas. Rycerz K, Jaworska-Adamu JE. Effects of aspartame metabolites on astrocytes and neurons. Folia Neuropathol. 2013;51(1):10-7. 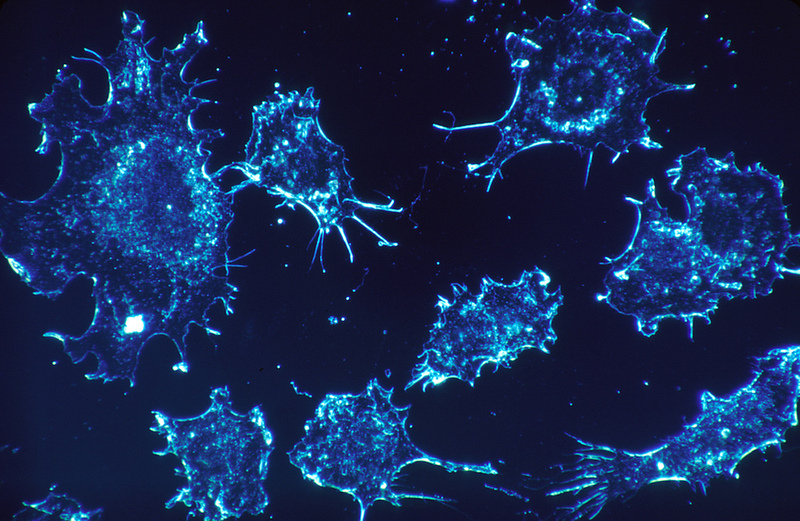 In addition, cancer tumor cells attract various micro-organisms and parasites that need to be addressed. 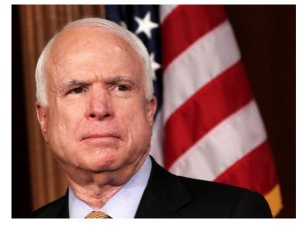 I recommend Sen. McCain and anyone else with brain tumors be tested for toxins and parasites. A detoxification and parasitic cleanse program under the guidance of a specialist in this area is essential. The long-term use of prescription and OTC (over-the-counter) drugs prevent the body from performing natural detoxification. 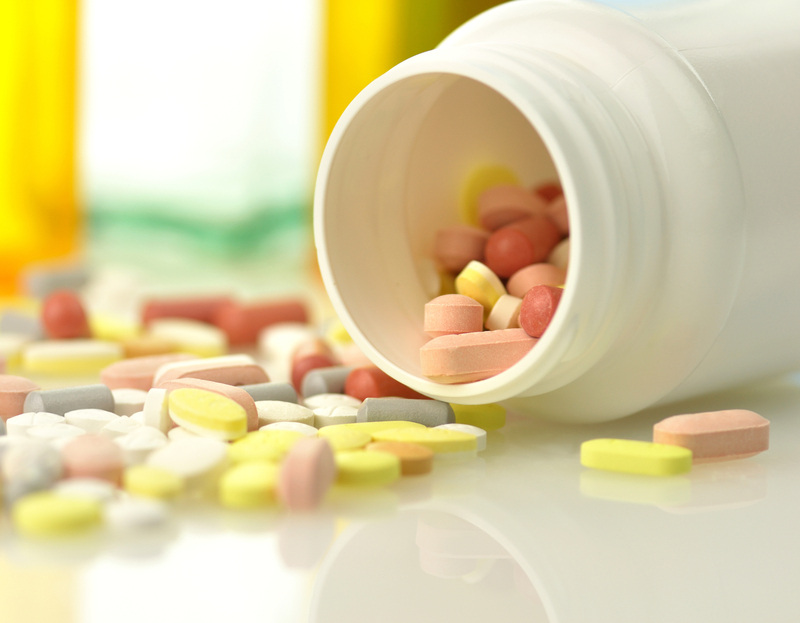 Drugs, creams, fever reducers such as aspirin and Tylenol® (acetaminophen) that prevent symptoms from being expressed naturally and running their course can lead to chronic disease. There are many recorded cases of cancers of every kind disappearing after the body goes through expressive detoxification including high fever. This is referred to as the phenomenon of spontaneous remission. A wonderful paper discussing this phenomenon of spontaneous remission was co-authored by the former head of the National Institutes of Health, Office of Alternative and Complimentary Therapies, Wayne Jonas, MD: Fever, Cancer Incidence and Spontaneous Remissions. Kleef R, Jonas WB, Knoglerc W, Stenzingerd W. Fever, cancer incidence and spontaneous remissions. Neuroimmunomodulation. 2001;9:55-64. Tylenol® (acetaminophen) and other medications deplete the body of glutathione, a powerful cell-protector, youth-defender and disease-preventer that’s been dubbed the “master” antioxidant. Glutathione is necessary for the health of the blood brain barrier and for detoxification of heavy metals. What Is the Blood Brain Barrier (BBB)? Your brain, as with any other part of your body, is fed nutrients via the blood. The only place where nutrients and wastes pass through your blood vessels to your tissues is when the vessels narrow to only a single cell in width. These narrow vessels are called capillaries. You have about 10 billion capillaries in your brain – one for every nerve cell. But in your brain your capillaries are a little different than they are anywhere else in your body. In your brain, they are surrounded by an extra layer of cells designed to only let certain sized products in or out. That extra layer creates what is called the BBB. Glutathione is necessary to maintain the health of the BBB. 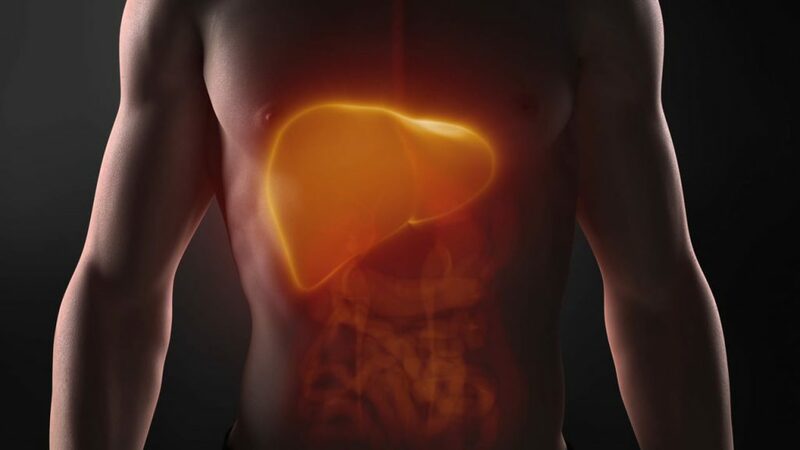 Tylenol® (acetaminophen) also damages your main organ of detoxification, the liver, and is the number one cause of acute liver failure in the US. The only treatment for an acetaminophen overdose is a glutathione injection. 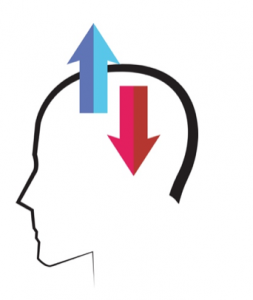 Chronically-lowered glutathione levels can cause “leaky brain syndrome.” Bad chemicals and micro-organisms can get in and necessary chemicals can leak out. But a bad one-two punch is a person given a vaccine (either a childhood vaccine but in Senator McCain’s case a flu or pneumonia shot, etc.) who takes Tylenol® either before or after administration. Because acetaminophen makes the brain more vulnerable to the toxins in the vaccine, the patient is playing with fire. A perfect storm would be Sen. McCain swallowing Tylenol® and washing it down with diet soda sweetened with Nutrasweet® or Equal® after receiving a flu shot, while on his cell phone to make an appointment with his dentist regarding an oral infection. Here we would have the Tylenol® damaging his blood brain barrier (opening his brain to aspartame, vaccine ingredients, other toxins and radiation) while at the same time he would be weakening his liver that is a major organ of detoxification. To add insult to injury, the Tylenol® would prevent his body from raising the fever necessary to fight infections and cancer. Senator McCain – our thoughts and prayers are with you and your family. I urge you to explore outside the medical model in your search for a complete healing. 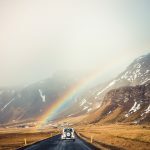 There are many details in this short article that need to be addressed and I am available to speak with anyone in your circle. Click here to discover the truth about cancer. Special Thanks. 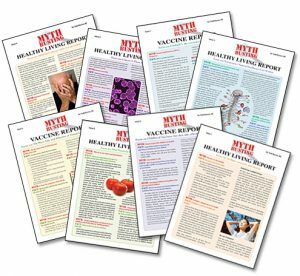 This paper could not have been written without the assistance of Lichuan Chen, Ph.D. Dr. Chen’s background in cancer, toxicology and natural healing practices has helped me, and many others, understand the genesis of cancer and many other chronic illnesses and natural, inexpensive and safe approaches to cures. And thank you to Jim Turner, Esq. who reviewed the paper and reminded me of the link between aspartame and glioblastomas. That is an interesting article Tedd. I will share widely. This is a fantastic resource for any of my patients that may need this priceless information in the future. 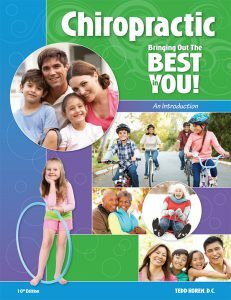 It is great to hear again and again what our CHIROPRACTIC IS ALL ABOUT. Fabulous synopsis of what to do and not to do if you want to survive a cancer diagnosis. Even more importantly, how to prevent one! Thanks Tedd. Excellent! 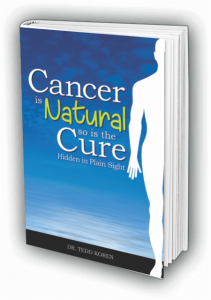 Right on point Dr. Tedd, and I appreciate your understanding and truth about cancer and the way to success over this imbalance. BRAVO!!! Great report, Dr Koren. I will also share with as many as possible. You succinctly stated what so many overlook. Thanks for getting it out there! Excellent and understandable to non-medical people. 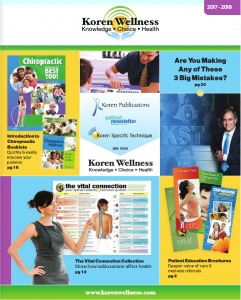 DR. Koren what a life saving information! thank you and God bless you for your boldness .This is what the world needs ! I will sare it with my patients and evryone. Thanks Tedd, great article. This information can potentially save many lives. Unfortunately, there are too many blind eyes that will not see and too many deaf ears that will not hear. This explanation of cancer and its cause is logical, based in fact, and presented in a matter-of-fact way. What don’t people get?! What don’t MDs get about this?! Are they that stuck in their dogma that they can’t change? Thanks for writing this. I’ll forward it to some MD that I know.